Our components use a standard 2032 coin cell battery which can be easily replaced. Follow these steps to insert or remove the battery from the holder. 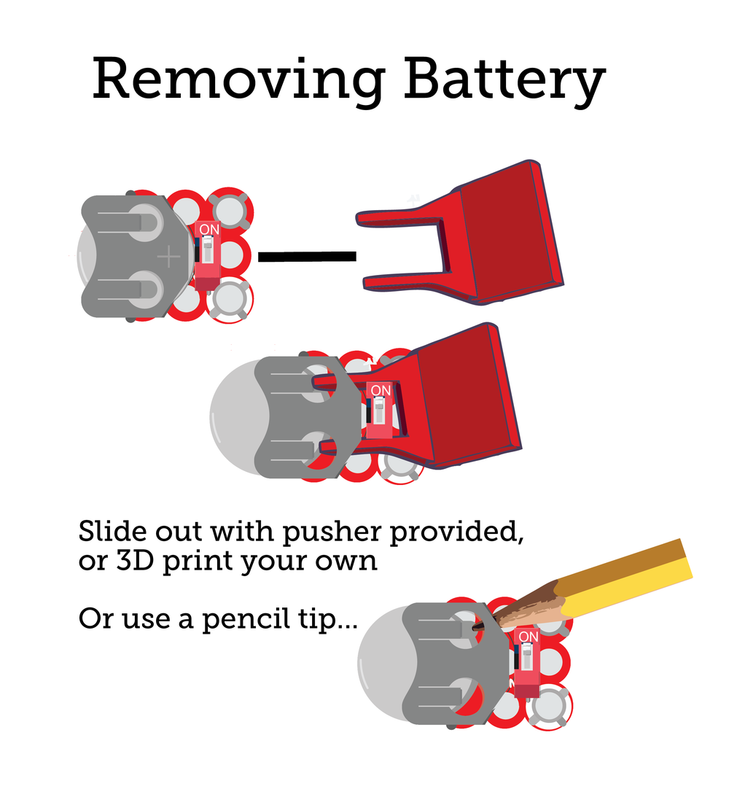 Download the file to 3D print your own battery pusher here.